The AC30 Cus­tom employs a quar­tet of EL84 pow­er tubes and pumps 30 watts of remark­able tone through a pair of 12” Celestion Green­back speak­ers. Capa­ble of both enchant­i­ng clean and rau­cous over­driv­en sounds, the sig­na­ture chime of the AC30 Cus­tom pairs seam­less­ly the intri­ca­cies of your play­ing style, result­ing in a sound that is tru­ly your own. 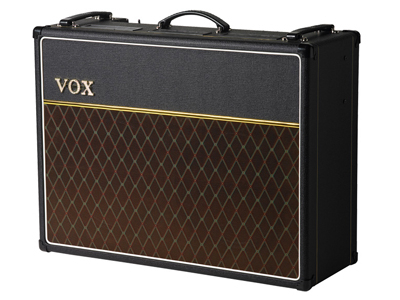 Per­haps the most icon­ic ampli­fi­er in VOX’s pedi­gree, the AC30 earned its place in his­to­ry as the ampli­fi­er that pow­ered the British Inva­sion. Since then, the AC30 has remained the choice of the world’s most accom­plished artists who have come to rely on its unique voice to ampli­fy theirs.